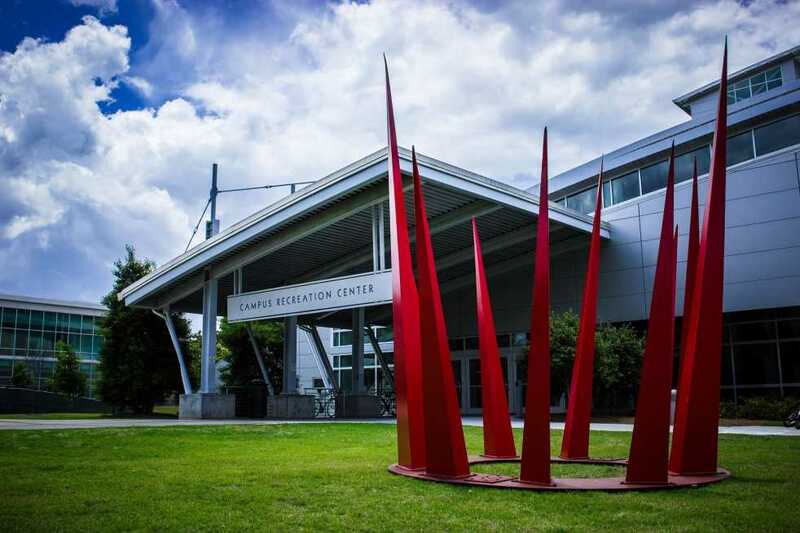 Last month, [email protected] introduced the campus to twelve sculptures curated by a Chattanooga-based sculptor. These sculptures are a part of a traveling exhibit that has been to locations both inside and outside the United States. Importantly, the only form of payment made for this loaned collection was its transportation, so students’ tuition wasn’t heavily spent. However, the initial exposure of these statues to the students this summer was not ideally executed. The communication behind this implementation (at least in this initial stage) was fairly nonexistent. Despite its presence in the Daily Digest, the exhibit was placed on campus without giving students a more appropriate heads-up about its arrival. Something of this caliber should have been relayed to the student body in a more deliberate manner by the administration, so students are not left wondering why, for example, there are giant red spikes next to the CRC. The grand unveiling, scheduled for Parents Weekend, is poorly timed, considering the four month wait students will have to undergo to truly understand and appreciate these sculptures. And the lack of plaques describing each sculpture doesn’t help, either. In addition, one of the primary goals behind bringing this exhibit to campus was to provide a creative outlet to inspire students (e.g. in their engineering projects). But displaying sculptures or other large pieces of art made by Tech students themselves would have been more appropriate for this artistic push. After all, most of us would rather see something brilliant created by one of our classmates than a complete stranger. The drive to bring more cosmopolitan pieces to the traditionally liberal-art-devoid Tech student is an admirable and understandable goal. However, its execution could have been improved, and maintaining an emphasis on local and student-based works cannot be underestimated in creating a sense of connection to future projects.